The resurrection of 8 Series is a big thing for BMW. When large and luxury grand tourer powered only by V8s and V12s, ended its story in 1999, till now, Munich hasn’t treated us with anything of that kind. That left the empty field for the authoritative rule of Merc’s CL-Class or current S-Class Coupe, but that is going to change, and Mercedes will be challenged. Lexus felt that same segment has enough space for two and offered LC, while BMW obviously thinks that three is not a crowd as 2019 BMW 8 Series is an inevitable thing. 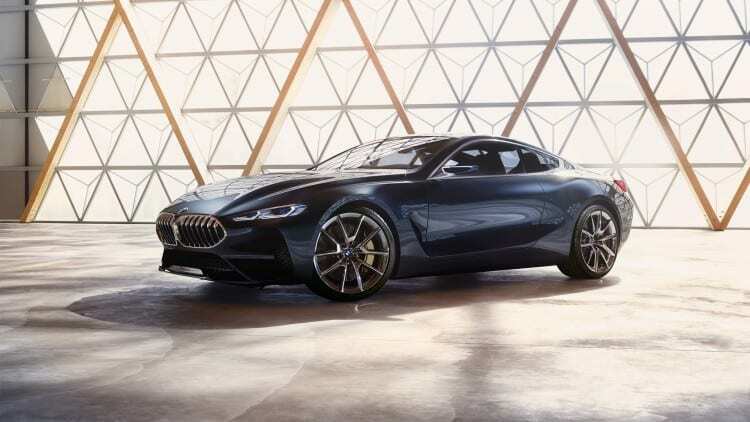 We already wrote about it while focusing on spy shots first time, the second time on released teaser picture and this time we will focus on 2017 BMW 8 Series Concept just revealed at Concorso d’Eleganza Villa d’Este in Italy. When we saw the teaser for the first time, we were mesmerized. The picture was showing the upper contours of the body, and it looked magnificent. 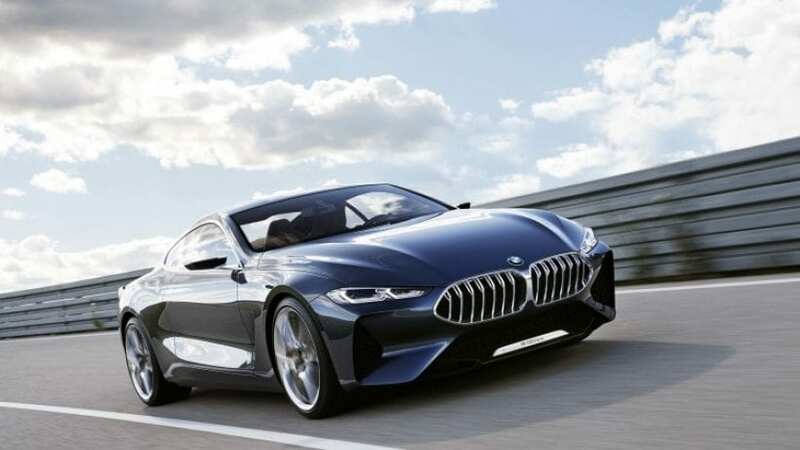 The 2017 BMW 8 Series Concept just proved that right. Company’s typical shark-like fascia is even more pointed and harshly directed toward the ground, the grille is much bigger than anything in the current offer with a unique shape and large bent gills. Headlights are small and mean looking, while the bumper is full of air intakes just adding to the threatening image of the whole thing. The side profile is very dynamic with big vent and wave-like treatment of the sheet metal. The rear is just breathtaking. Huge vertical vents, double trapezoidal exhaust, visibly muscular fenders, body-integrated spoiler and beautiful exposed undulated tail lights. So, everything is rosy as far as the visual side of new 8 Series is concerned if it manages to follow here presented that is. We must add that there are some visible similarities with Aston’s DB11 in this case, maybe even too much. 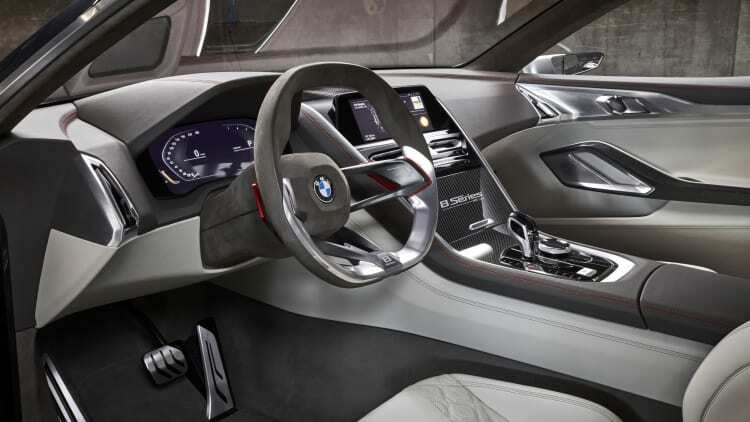 If with something BMW doesn’t have problems lately, that would be interiors. In recent years whole game was raised to another level and concept doesn’t drift from that course at all. Still, the design approach is different. Compared to current 6 Series styling is much simpler and cleaner. Maybe a bit too much simpler. There are not many buttons, though they might be concealed beneath gorgeous dash hatch with concept’s name inscription, while instrument gauges are replaced by the digital panel. Sporty side of it is served by red contrast stitching, use of Alcantara and carbon-fiber patterns on the dash, while elegant part of it is enhanced by gear lever crafted from Swarovski glass and considerable use of leather covering dash, lower console, and parts of the doors. Again, in the end, we cannot resist the sensation that the whole thing reminds us of DB11. As BMW said by itself, development of regular 8 Series is joined by the development of M version at the same time. Spy shots of M version are already here, and you can easily distinguish it by much larger front bumper intakes, bigger brakes and round quad exhaust tips at the back. But that is not all as a pure race car, M8 GTE, is in preparation also, which will also signify the return of the brand to Le Mans racing. Debut is set for January 2018 and Daytona 24 Hours race. And after that, feel free to expect, during the same year, the revelation of regular 8 Series and it’s evil M side.